The Temple of Set was founded in California in 1975 by a group of51 dissidents from the Church of Satan, led by Michael Aquino, a former US army officer. According to some accounts (e.g. Harvey 1995a), they were displeased at the publicity the organization had received and criticized LaVey for, as they claimed, turning satanism into a form of show-business. They declared that they wished to restore the high moral purpose with which the Church had been founded, but the organization that ensued became rather different from that of the parent organization, being more like some of the self-improvement movements than the Church of Satan, although the Temple of Set's origin is apparent m some features of the ntual practice of its members. They also share with the Church of Satan the concept of the Black Hame, the symbol of knowledge and of scepticism towards the received wisdom of established religions. 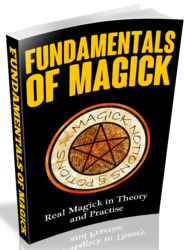 They emphasize knowledge and learning about magic more than the bodily liberation which the Church of Satan preaches. Unlike the Church of Satan they do not seek publicity, although the leaders may'be available for interview and the head of the British section is seen on television on most occasions when programmes about satanism are made. However, Aquino's writings - The Book of Coming Forth by Night (1975) and Black Magic in Theory and Practice (1992) - are not widely available except to members. Harvey's published research on satamsm m Britain gives a full account of the Temple of Set and is the mam source for the following account, except where other references are given. The name chosen by Michael Aquino makes clear the greater emphasis in this group on the lore and magic attibuted to ancient Egypt. In this it resembles the order of the Golden Dawn more than the Church of Satan, although its system of grades is unlike that of the Golden Dawn or other magical groups. Set is generally equated with Satan, although some members may distinguish between them. While the 'official view' is probably that he is a person, a 'real being1, he is not worshipped but approached as a friend. His gift of the Black Flame (knowledge) to mankind offers the opportunity to members to become fully themselves. In this they share an ideal of self-development with the Church of Satan but place much greater emphasis on it. They are expected to 'become', that is, become truer to themselves, and they quote the dictum: As Set was, we are; as Set is, we will be'. The term xeper, which is used for this process, is glossed by Harvey as 'individual transcendence', presumably of a former self. The Temple of Set emphasizes what it is that distinguishes human beings from the natural order: the intellect. They are thus different from the Church of Satan which emphasizes what humanity has in common with animals. They stress the urge to 'know', to be independent in thought and not to accept others' judgements or opinions. It is this questioning intelligence that is Set's gift to humanity; Setians do not regard it as the result of evolution. Harvey quotes a Sedan as saying: 'Knowledge is achieved by learning, working, experimenting, experiencing and thinking. Faith is the true evil. Blind unquestioning faith . . .'. The gift of intellect imposes an obligation to use it, and to subordinate oneself to faith or to play up one's physical nature are wrong. Setians distinguish between an 'objective universethe natural world, and the 'subjective universe', which is the individual's personal perspective. 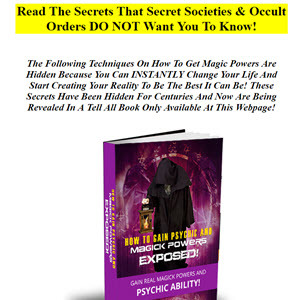 In this and other major principles of magical theory they resemble other magicians, including the Church of Satan. They follow Crowley m believing that magick is causing change to occur m the objective universe in accordance with one's Will. A change in the subjective universe is believed to cause a similar and proportionate change in the objective universe. Objects, costumes, music and ntuals that have an impact on the individual are aids to this process. Setians recognize the distinction also made by LaVey between Greater (ntual) and Lesser (the everyday manipulation of persons and things) magick. Aquino's book Black Magic m Theory and Practice contains an example of Greater Black Magic ntual, and other ceremonies may be created for particular occasions (Harvey, 1997: 289). These take a similar form to the rituals used by all ceremonial magicians, which is not surprising because the Temple of Set is best understood as an association for magicians. It is concerned solely with magical skills and has no regular occasions that are celebrated by fixed ntuals. Unlike all other neo-pagans, Sedans do not use a calendar of festivals, not even treating Walpurgisnacht as a festival, although certain pagan festivals may be seen as appropriate for social gatherings. However, most of the activities of the Temple of Set's members are solitary, involving the study and practice of magic. The ntuals of the Temple of Set resemble those of other magicians in structure and form, although both groups of satamsts so far discussed are distinguishable from neo-pagan magicians by the fact that they do not use a circle as a 'working space'. Satamsts' ntuals raise power to benefit themselves and they therefore see no need to contain the energy raised or protect themselves from anything invoked. Both the Temple of Set and the Church of Satan nng a bell nine times to clear and purify the atmosphere at the beginning and to intensify the effect of the ntual, and both close it by admitting pollution at the end. Whether this is denved from the Black Mass, as Harvey suggests, is not entirely clear, given that LaVey, who initially devised these ntuals, made clear his view that the Black Mass was never a senous satanic ntual but more a parody for the amusement of clients of the purveyors of shocking sexual pastimes. The Temple of Set considers that the ntual or magic of all other groups is white, while theirs is black. In this they differ from the Church of Satan, who follow LaVey (and Crowley's) dictum that there is no difference between white and black magic. For Setians, these labels do not refer to moral qualities but to the Gnostic distinction (also used by LaVey) between other-directed and self-directed action. Black refers to the fact that their magic is self-consciously self-benefittmg. Given the other-directed nature of other religions, this seems to be splitting hairs, for, at least in Chnstian terms, selfish actions are wrong and might well be designated 'black". All satamsts appear to share the distinction between Right Hand and Left Hand Magick and the Temple of Set is no exception. tralization and the image m the Church of Satan regalia was that of the Baphomet. Unlike other groups of magicians, the Temple of Set does not expect all its members to progress towards the highest grade: most are expected to remain as Adepts, that is at the second degree, which recognizes an individual as a competent magician. While all Adepts are expected to improve their magical skills by accumulating experience and deeper learning, the higher degrees are not a recognition of achievements in magical skills but represent offices believed to be conferred by Set and recognized as conferring pnesdy duties and responsibilities within the Temple. The ruling body of the Temple consists of the initiates of the highest degrees, of whom the senior priest in Britain is one, and is called the Council of Nine. An annual conclave brings the Council and other higher initiates, as well as ordinary members, together. Priests and priestesses are responsible for running the Temple and its local groups or Pylons. While Pylons facilitate meetings between members who live in the same region, any member can attend a meeting of any Pylon. Harvey lists four Pylons in Britain but one is a correspondence Pylon concerned with a region outside Britain. In addition, the Temple is divided into Orders, each representing an intellectual interest and supervised by a IV degree initiate as GrandMaster of the Order. In this respect the Temple is conceived of as like a university, with subject departments or faculties, led by a professor. Harvey summarizes the description given of 11 different orders ranging from the Five Senses to Nietzsche and notes that: 'Each order has its own insignia, reading list and publications' (Harvey, 1997:4). Adepts are expected to specialize in one order and develop an expertise m it. It is not stated whether, if they wish to, members may belong to more than one order. Unlike the Church of Satan, the Temple of Set has a British branch, although it is not large. Its leader David Austen is frequendy called upon to appear on television as a representative of satamsts and has an equivocal relationship with the rest of the pagan community that has expressed itself on occasion m violent reaction to any perceived criticism of the founder, Aqumo. While Harvey records that some of the British Setians who completed his questionnaire voted Labour, Liberal or Liberal Democrat, the general views expressed by Austen are much more right wing. There is litde evidence of branches of the Temple of Set in other European countries, although the Temple has corresponding members elsewhere who may be quite numerous as a special Pylon is concerned with them. The Black Circle in Bergen, Norway, is an off-shoot of the Temple of Set but is now independent. "5 In 1992 Gordon Melton estimated the number of members of the Temple of Set m the USA to be about 500 and Harvey suggested a figure of around 50 in Britain , noting however that their senior priest, David Austen, told him that the Temple was growing. One pagan informant has suggested that Harvey's figures are generally underestimates but another who attended a supposedly large gathering of the Temple of Set m London said there were only about a dozen members there, and a member of the Pagan Federation claimed that Harvey's figure was about right. It seems unlikely that there are more than 100 members of the Temple of Set in Britain at the very most and the total may be considerably fewer.